Twist-Erase provides the ultimate in writing comfort and control. It offers superior quality construction with a soft rubber grip, an ergonomic barrel, and a jumbo eraser that is larger than normal pencil erasers. Push down on the barrel to advance the lead. It uses a twin barrel to advance and retract the eraser. 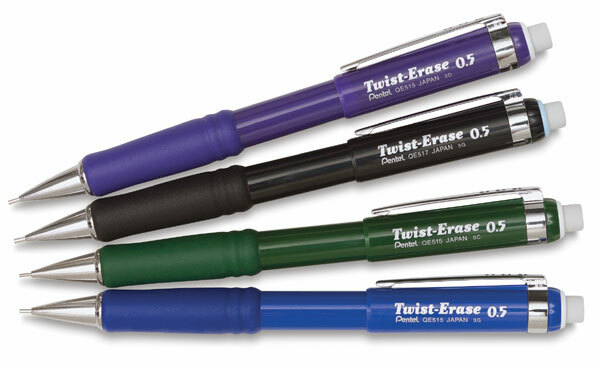 Twist-Erase uses Pentel's Hi-Polymer Lead, which is the world's strongest.